Shy as a gray fox or bold as a bull moose? 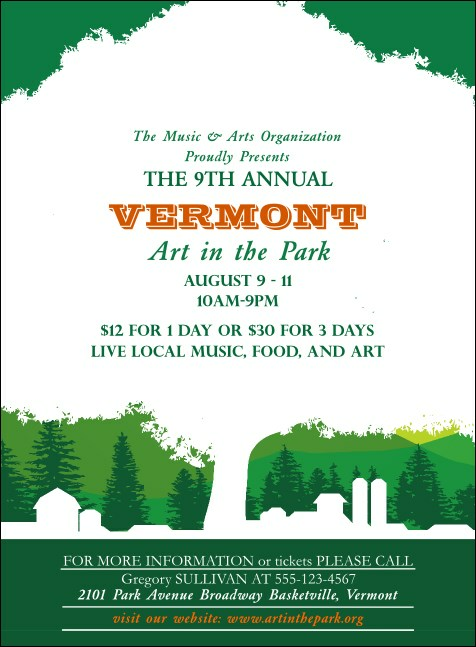 Boost your social standing and let the Vermont Invitation bellow the news for you! Brightly colored image upload Invitation with a natural panorama and windy swirls helps you summon your guests to your New England gathering with natural style and ease! Find pure, down-to-earth beauty in TicketPrinting.com's huge design gallery.